Taken from the plane, gives it a wider perspective of the place. Being there in the South rim of the Grand Canyon and seeing how immense it was, showed me how magnificant the work of water made to the whole environment. Spent a night viewing the night skies after all the tourists had left. The dark moonless night made the stars brighter and I could make out the milky way from the night skies. The campers down in the canyon lit up their tents showed me how far down the canyon was and how tiny they were down there. Many hikers would start their descent down the Grand Canyon after sun down just because it was too hot to do it in the day when temperatures could go up to 40 degrees celsius. 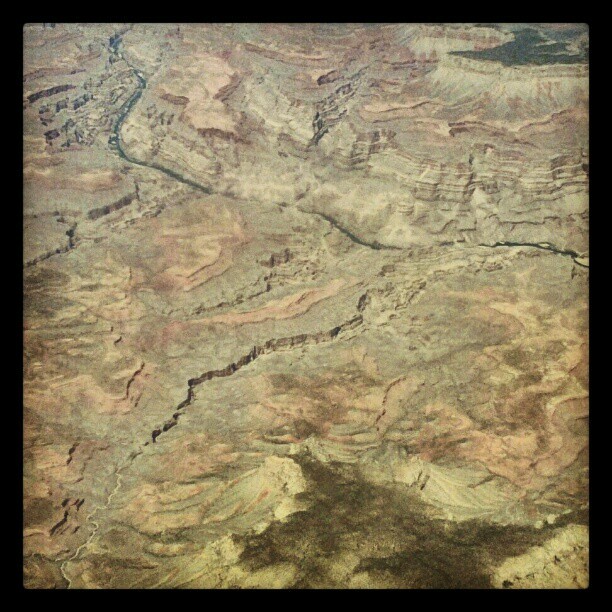 This entry was posted in Southwest USA, United States of America and tagged from air, Grand Canyon, plane. Bookmark the permalink. Amazing view, you seem to be going everywhere, even up in the air to get a good view of the places you visit and I really enjoy them!!! Thanks for sharing!! !